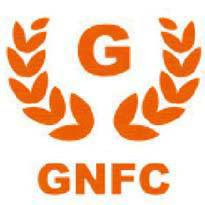 Gujarat Narmada Valley Fertilizers & Chemicals Limited (GNFC) Published Recruitment Advertisement for Accounts Officer and Senior Accounts Officer Posts. View More Details About This Recruitment Including Total Posts, Posts Name, Qualification, Age Limit, Salary, How to Apply etc., are Given Below. Accounts Officer : First Class MBA (Finance) with Preferably Qualified Inter CA. Senior Accounts Officer / Accounts Officer : Graduate / Post Graduate with First Class from Reputed College/ University Preferably having Professional Insurance Qualification of FIII / AIII. Accounts Officer : Around 5 Years to 7 years of Post Qualification Experience. Senior Accounts Officer / Accounts Officer : Around 10 Years of Post Qualification Experience. How to Apply : Interested and Eligible Candidates may Fill-up the Application Form Online through Below Mentioned Link as well as Upload the Detailed Resume Latest by 7th April, 2018.